The Midwest has gotten a lot closer to the Far East since the completion of Terminal 2 at the Port of Grays Harbor in Aberdeen, WA. In a joint venture, the Port, Ag Processing Inc. (AGP), Omaha, NE, and the Puget Sound & Pacific Railroad (PSP) created a deep water port facility which is a day closer to the markets of the Pacific Rim than any other West Coast port, cutting two days from the journey. Since Asia currently imports one-third of the soybean meal exported by the United States and represents nearly all the increase in meal demand during the past 10 years, it is a market worth pursuing. At the groundbreaking for the facility, AGP CEO Marty Reagan shared his vision of “a steady flow of rail cars transporting agricultural products from the Midwest to the West Coast for connection with world markets.” A year and four months after that groundbreaking ceremony, the first ship arrived in the port – but the process, from inception to completion, actually took more than four years. The development of the $14.5 million project began when AGP, the largest soybean-processing cooperative in the world, was looking for a place to store carloads of soybean meal and other products for loading ships at a port on the Columbia River. 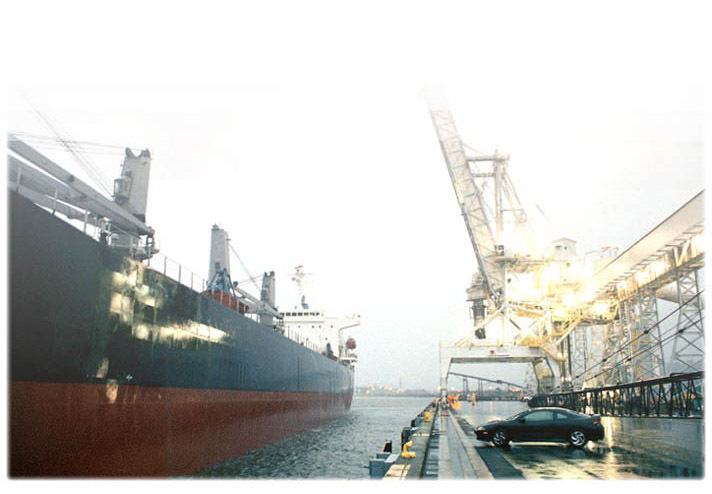 “The port encompasses 1,400 acres, with a 600-slip marina, an airport, marine terminals and industrial properties. AGP/PGH is the first grain terminal. To accommodate the mile-long 110-car unit trains coming in from the Midwest, the Port of Grays Harbor constructed a new 8,400-foot loop track at a cost of $5 million. 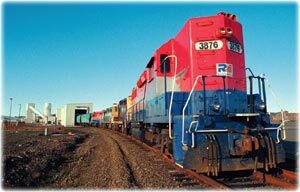 The port funded $3 million and the Washington State Department of Transportation funded $2 million of the cost, to help the Port win the business, preserving jobs and rail freight service to Hoquiam. The facility consists of a receiving building with a 100-foot-long pit, which accommodates the unloading of two railcars at once, shuttle conveyors enclosed in tubes which run from receiving to a scale and sample tower and again to the mobile loader, and the 600-footlong mobile loader itself. A 100-ft. by 600-ft. concrete apron holds the loader, located on 75 acres of paved, secured cargo yard, near dock warehousing. 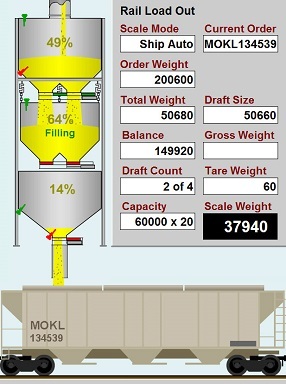 With 3,000 to 4,000 cars expected to arrive annually, loaded with assorted products, including soybean meal, Amino Plus, corn, corn gluten meal and specialty products which must be loaded into the correct hold, it is crucial that transloading be done both quickly and accurately. To ensure speed and accuracy, AGP called on CompuWeigh, located in Cheshire, CT, to automate the 10-car/hour rail receiving and the 60,000 bu./hour process scale and its associated controls. 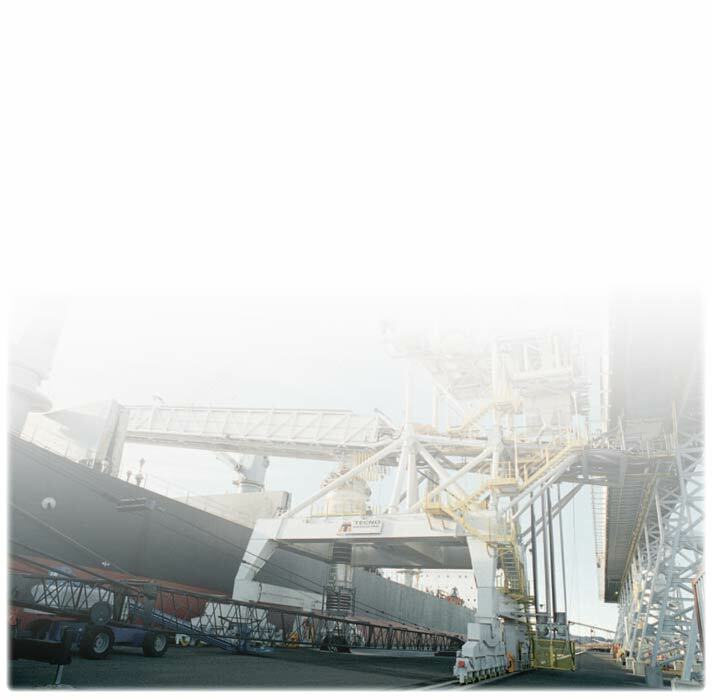 “This project was more involved than other automation controls because instead of just unloading a unit train, we had to make sure that several commodities were separated into batches according to which of the seven holds of the ship they had to be in,” explains Jim Gavrish, automation manager at CompuWeigh. “As the cars come into the port, a reader scans the tags, making an initial check that the railcar is supposed to be at the facility, based on the pre-advise list the harbor receives electronically. “If it’s not, an alert comes up to notify the operator. When the car gets to the receiving building, it is scanned again,” Gavrish continues. “Then after it dumps into the pit, it’s run onto an axle scale to be sure whether it’s empty or full. The system does a reconciliation at the end of a batch made up of a string of cars, checking against the origin weight and making sure they haven’t missed emptying a car or been shortchanged. “The wheel sensors were specially designed for AGP – but it will become standard in future CompuWeigh projects,” Gavrish points out. The engineering of the massive conveyor system was done by The Hendrik Group of Woodbury, CT, who also supplied the HEI HoverGlide air supported belt conveyor system. The conveyors are supported in totally enclosed 10-foot diameter tubes to prevent any outside contamination. The conveyors are air supported on both the carrying and return sides. Air supported conveyors use a thin layer of air to support the load and belt in lieu of idler rolls – similar to air hockey games. There are no cracks or crevasses to retain product, and brushes and air continually cleans the belt, while a vacuum system pulls dust away from the system. AGP’s fleet consists of 3,500 railcars, including 900 to 1,000 large cube cars that hold 100 metric tons each, 10 tons more than regular cars. They have also created a fleet of railcars just for transporting identity-preserved products. At AGP/PGH, trains move continuously through the unloading facility. A staging area can hold approximately 300 cars in anticipation of a vessel’s arrival. Compuweigh Automation System The loop track is capable of holding another 100 cars, making it possible for Terminal 2 to continuously load up to 40,000 metric tons. Puget Sound & Pacific Railroad (PSP) brings the trains from the connection with BNSF and UP, providing that last essential link. Tom Foster, formerly of PSP and now working in sales and marketing for Rail America, which owns PSP, is enthusiastic about Terminal 2 and AGP’s initiative. “This direct link from the Midwest to the Pacific Rim is the fastest and most cost-effective means of reaching the Asian customers, ” says Glen Heitritter, AGP director of international trade. “And it’s set up for indentity- preserved products, the direction our customers are headed.